In purchasing equipment for the outdoors, I always use the same thought process. How often am I going to upgrade my equipment based on the new radical improvements that the manufacturer will come out with? How long before my existing equipment will become obsolete and I will have to replace it? How long will it be before I have a disadvantage with my existing equipment? When the time came to choose binoculars, I decided that I would choose the best binoculars that I could afford based on the use of the binoculars. I didn't want the binoculars to be so heavy that I didn't want to hike with them. I wanted to have a wide FOV (field of view) and I wanted the binoculars to be powerful enough. I wanted to be able to focus fast and at the same time be able to see close up. If you are fortunate to have an Outdoor Retail Store nearby that allows you to take out several pairs of binoculars to try, use and compare, you will really see the difference between several binoculars looking at the same subject. And at the same time, you will feel the difference between the weight and how they handle. 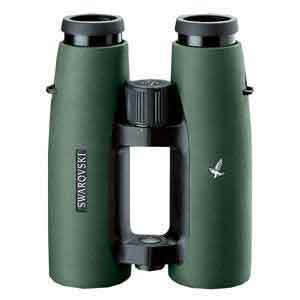 There are many binocular features to consider when choosing binoculars and all the options available are important. What power binoculars do you need? All binoculars have a pair of numbers ##x##, for example 7x42. The first number is the power (magnification) and the second number is the size of the lens (42mm). In this example, the 7 means 7 times closer than seeing the subject with only your own eyesight. The lower the magnification, the brighter the subject will appear and the wider the area that you will be able to see. So, decide on what you are normally looking at: birds, landscape, etc. The more powerful binocular will be harder to keep steady because of the small FOV (field of view). If you are going to use the binoculars at dusk a lot, you will need a larger lens size (maybe a 50mm instead of the 42mm lens. The larger the lens size, the more light that is let in to your eyes. Coated or non coated lens? Coated lens also affects the brightness of the subject that you are looking at. Coated lenses increase the amount of light that will make it all the way through the binoculars to your eyes. The more light, the more contrast. Do you need that option? The coating of the lens will increase the cost of the binoculars. How close do you need the binoculars to focus? Always test the binoculars to see how close you can focus. Look around the store and focus on the closest subject that you can find. Measure the distance from your binoculars to the subject. Do you need to focus any closer (wildlife, mushrooms, etc.)? How wide do you need the field of view (FOV)? Field of view is the width of the area you see through the binoculars. Take two different pairs of binoculars (7x42 and 8x42) and look at the same subject. You will see that the 7x42 has a large FOV than the more powerful 8x42 binoculars (the larger the magnification, the smaller the FOV). How important is it for you to have a larger FOV? The smaller the FOV, the harder it is to spot smaller subjects (birds for instance). How heavy is the binoculars? Are you going to be hiking with the binoculars? Are the binoculars going to be carried in a backpack or are they going to be worn all the time? Weight is a very important factor when choosing binoculars. Do you need water resistant or waterproof binoculars? Are you going to be kayaking with your binoculars or just walking through the rain? Waterproof binoculars are more expensive than water resistant binoculars. Are you going to be climbing, hiking, kayaking or just walking and not putting your binoculars in situations that you need extreme durability? If you need durability, choose the binoculars that have that feature. How do the binoculars feel in your hands? There are adjustments for focusing the binoculars. Are the adjustments and the balancing weight of the binoculars comfortable in your hands? If you wear glasses, the binoculars must have eyepieces that have eyecups that either retract or roll down. This is important for people who wear glasses and will wear them when using binoculars. Check to make sure that the eyecups are replaceable if they become damaged. What is the warrantee and the repair service for the binoculars? Some expensive binocular manufacturers will give you a new pair of binoculars when they can't repair them when they become damaged. Check out the reliability of the manufacturer. The bino straps are a great accessory for your binoculars. Make sure there are bino straps available for the pair of binoculars you choose. Don't forget to learn how to maintain your binoculars correctly because incorrect methods might damage your binoculars and choose your binoculars wisely.